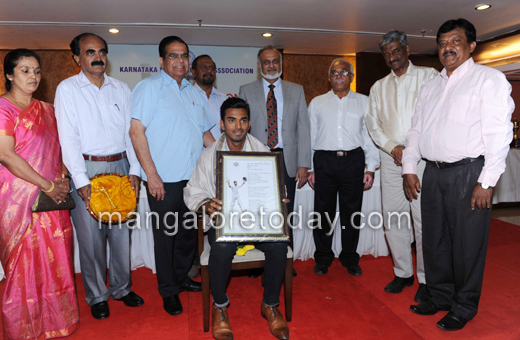 Mangaluru, April 1, 2015: Mangaluru’s cricket talent K. L. Rahul who has made the city proud by getting a spot in the Indian cricket team, was felicitated at a function organised by the Mangaluru Zone of Karnataka State Cricket Association. 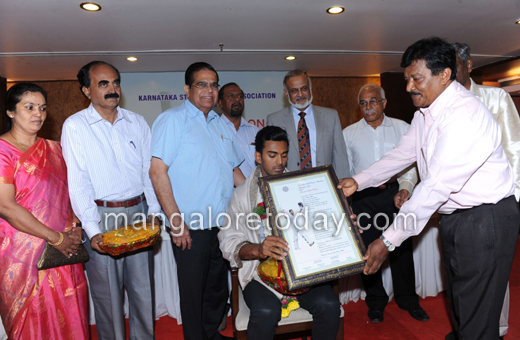 Winners of various cricket tournaments were also honoured at the function. 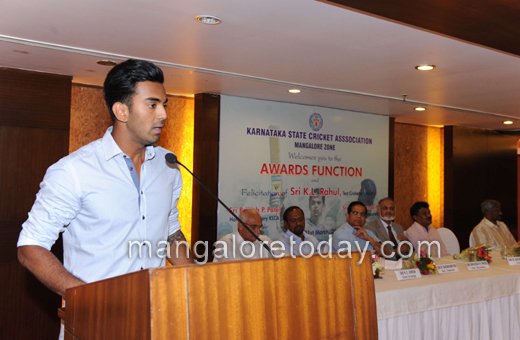 Speaking after accepting felicitation, K. L. Rahul said he took all games that he played very seriously. 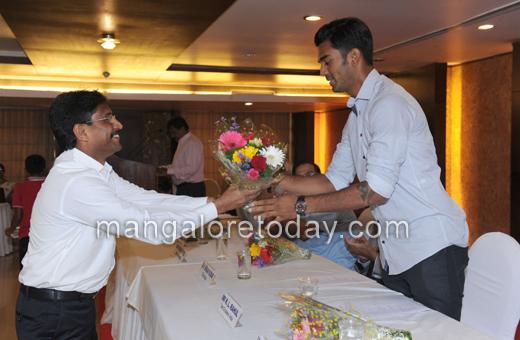 He also was thankful to his coaches Devadas Nayak and Jayaraj Samuel Muthu for honing his cricketing talent. Rahul also hoped that his city will soon get an international cricket stadium so that his home town can see him in action. 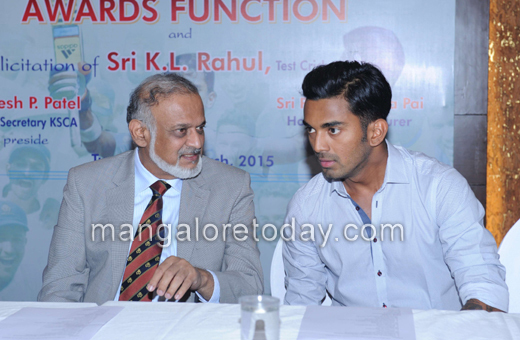 Brijesh Patel, Honorary Secretary of the Karnataka State Cricket Association emphasised the need for further improvement in the field of under-14 cricket. He also informed about the Association’s plans to start new Cricket Academies and also to hold summer camps for young cricket talents.